Mountain Horses became famous and admired for their sure-footedness which they proved in climbing and traversing the slick granite slopes and narrow mountain passes of Kentucky. 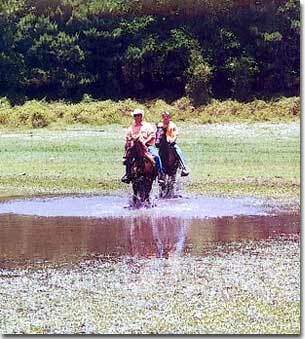 This feature is no less important to those of us who live in the flatlands. 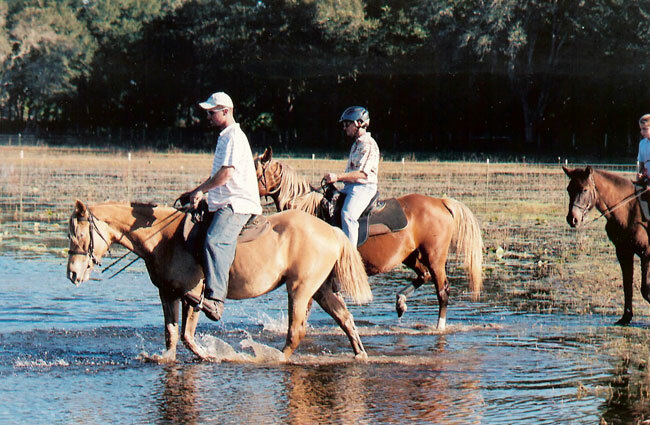 Cypress swamps and grass flat ponds present their own challenges, to which the Mountain Horses respond with dexterity and flair. 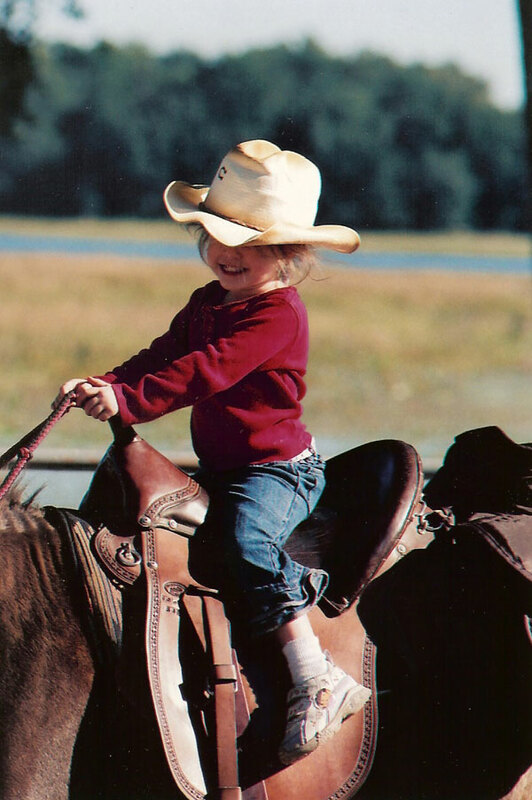 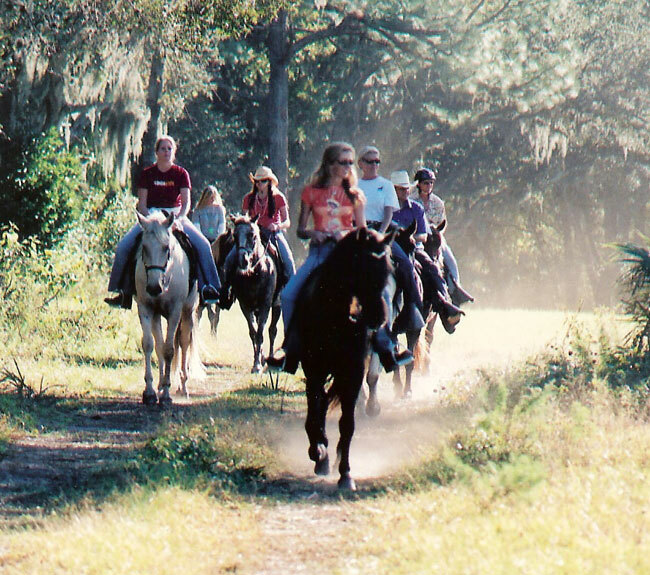 Whether your riding venue of choice is high lands or flat lands, riding or driving, Mountain Horses will move you through the terrain, in comfort and style. 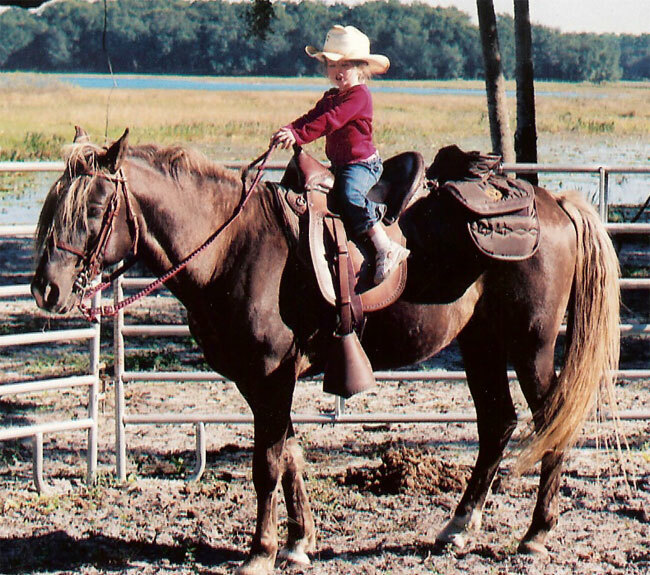 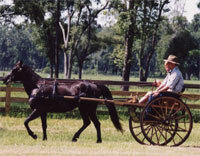 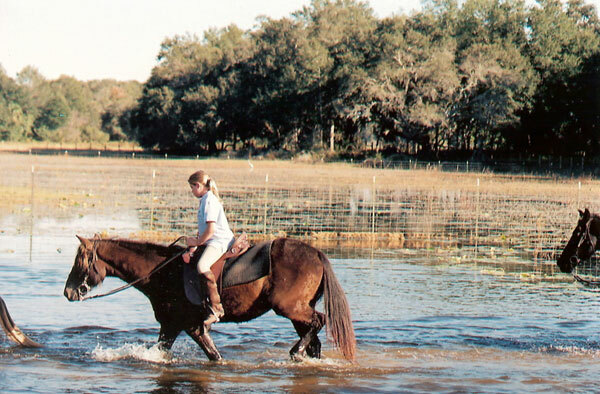 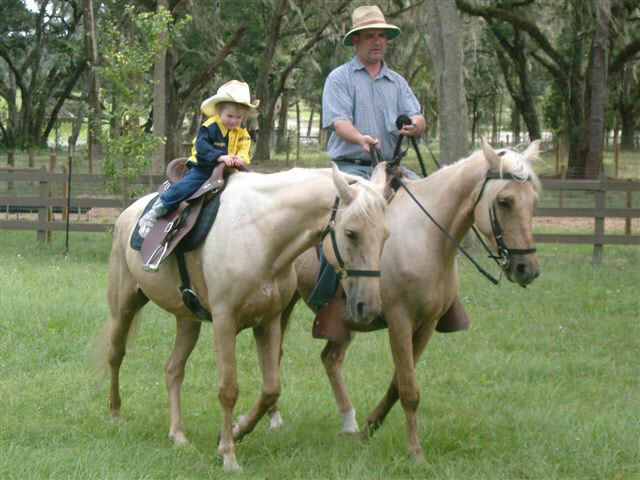 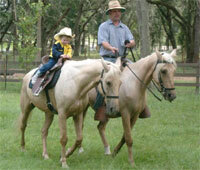 Our overriding breeding objective is to produce a gentle, smooth and beautiful trail horse. 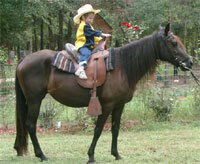 Consequently, we breed for temperament, gait and conformation and finally color in that order. 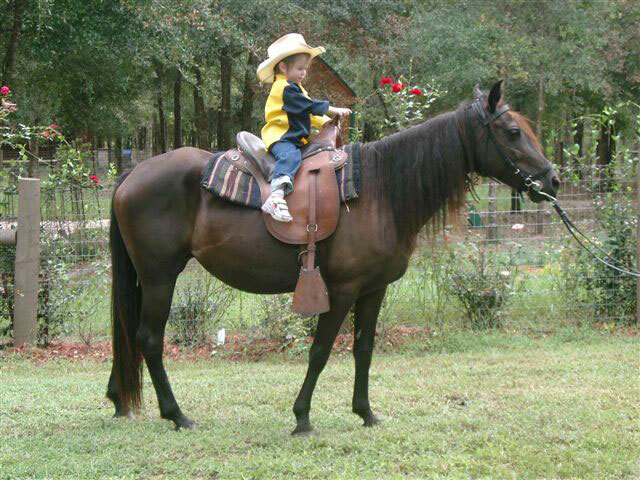 First, we seek the gentle, tractable Mountain Horse temperament. 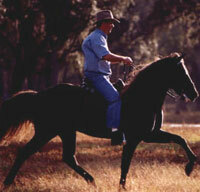 Secondly, we strive to create a naturally smooth gait with a striking conformation. 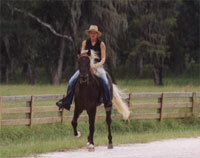 "Superb Trail Horse (and World Champion Show Horse)"